Baker’s Island is about three miles east of the entrance to Salem Harbor. Baker’s Island Light was originally constructed with twin lights about 40 feet apart. Baker Island Light’s first Keeper was Geroge Chapman, who later became blind, with the cause believed to be from the glare of the two lights. In 1816, one of the twin lights was removed and the remaining one was rebuilt, but this change confused mariners with Boston Light and caused shipwrecks, like the Union in 1817. In 1820, the two lights were placed back on Baker’s Island as two towers known as the “Ma and Pa” towers until 1926 when the smaller tower was removed. In 1879, a tornado struck Baker's Island, killing 30 people in the Boston Bay area and destroying the fog bell tower on the island. On Independence Day in 1898, the tour boat Surf City picked up a load of tourists on the island, and after unloading some of the passengers in Salem, proceeded on to the city of Beverly. A short time afterwards, a violent storm with high winds that rained large hailstones caused the vessel to tilt sideways, filling the ship with water and causing it to overturn spilling its passengers into the water. Although most of the passengers survived the disaster with help especially from one of the crewmen of the vessel, eight women and children died in the disaster. The crewman later received a lifesaving medal for his part in helping to save many of the passengers on board. 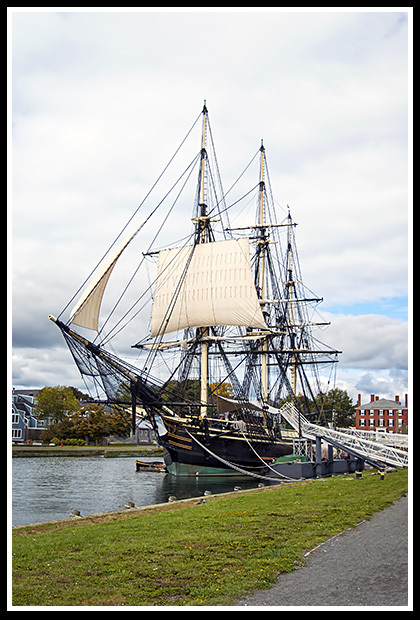 The Salem Maritime National Historic Site is a historic museum offering marine artifacts from Salem’s early days. Docked at Derby Wharf, near the Derby Wharf lighthouse, you can take the half-mile walk to the lighthouse and enjoy views of Salem harbor, and explore the Friendship on the wharf, which is a replica of an eighteenth century trade vessel. For those looking for a sailing adventure, climb aboard the Schooner Fame of Salem. It’s an 1812 replica of a privateer vessel, one that would be armed and would remove supplies from British merchant vessels. They provide 2-hour sails around Salem Harbor. The schooner sails from Memorial Day through Halloween from Pickering Wharf Marina in downtown Salem, Massachusetts. For those interested in visiting Salem during the fall season, Salem hosts Haunted Happenings, with a series of events and festivals like the Festival of the Dead, during the month of October. Nearly 250,000 people dressed in all types of costumes descend upon the city during the week of Halloween. Visitors can take various haunted tours, meet psychics, witches and warlocks, watch the Grand Parade, attend various costume balls, eat plenty of special foods, or watch chilling theater presentations. 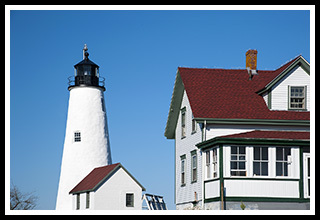 Essex National Heritage Area group will take you aboard the Naumkeag, and are the only group allowed to take visitors to explore the grounds around Baker’s Island Lighthouse, with one-hour out of a two-hour tour provided to enjoy on the island lighthouse grounds. The tour Other tours will get you views of the lighthouse from the water, but are not allowed on the island. The ENH also provides various historic walking, running, and sailing events covering over 500 square miles north of Boston. Boat cruises and ferries mentioned below may offer many types of cruises. These boats will pass by Baker's Island Light and other specific lighthouses as part lighthouse cruises, narrated wildlife and historic tours, and other types of excursions. This is a non-profit organization that offers lighthouse tours to explore Baker’s Island Lighthouse. Tours are provided during the summer months. Among daily cruises in Salem harbor, they provide specialized lighthouse cruises as part of their Early Summer Lighthouse Cruise and the Lighthouse Fall Foliage Cruise. 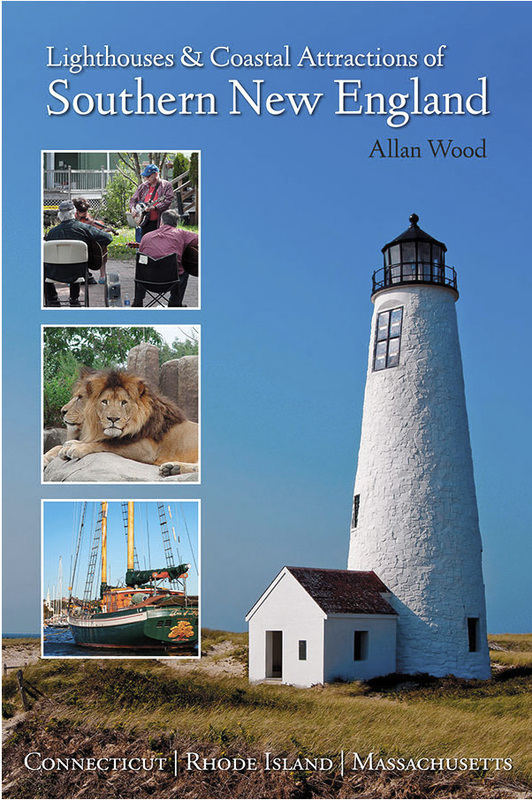 My new book, Lighthouses and Coastal Attractions of Southern New England: Connecticut, Rhode Island, and Massachusetts, provides special human interest stories from each of the 92 lighthouses, along with plenty of indoor and outdoor coastal attractions and tours you can explore. Discover my book “New England Lighthouses: Famous Shipwrecks, Rescues, and Other Tales” with over 40 detailed stories and 160 images. Published by Schiffer Books. In the book you'll find one unique story from a lighthouse keeper's perspective. Paul Baptiste, is one of the last surviving keepers of the mid 1900s. He accounts some amusing events, and family life while he was stationed at Baker's Island Light, and other lighthouses in New England.